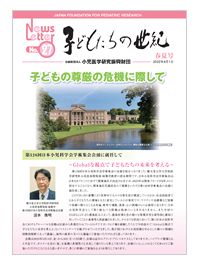 小児神経科・医長 Is hiragana decoding impaired in children with periventricular leukomalacia? 小児医学 Evaluation of the GABAergic nervous system in autistic brain: 123Ｉ- iomazenil SPECT study. 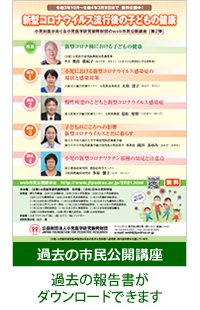 Copyright(C)JAPAN FOUNDATION FOR PEDIATRIC RESERCH. All Rights Reserved.